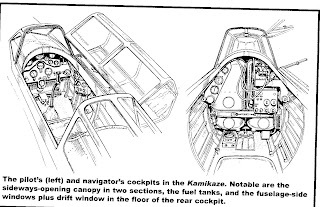 Fortunately for posterity the interior of "Kamikaze" was drawn and described for 'Flight' magazine whilst the aircraft was at Croydon. It may prove useful if and when that 1/48th kit finally appears. Other details to note in the photograph are the dropped, centrally located flap and the lowered footstep. 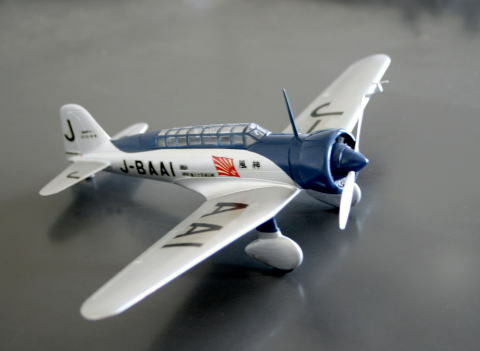 The blue trim on the original "Kamikaze" is often depicted as rather bright but this contemporary model, albeit age degraded and darkened, suggests something perhaps a little deeper and more typically "dull" of the blue paints of the 1930's, towards an indigo. Unfortunately I don't know the identity of the Japanese modeller responsible for the gem below but I think he - or perhaps she - has done a very good job of interpreting the blue. The rendered chips are drawn from a variety of published sources but I think them still too bright and "purple" (it's a Munsell thing). The recent Hasegawa "dual combo" kit suggests the very bright and I think unlikely blue of GSI Creos "Mr Color" #65. 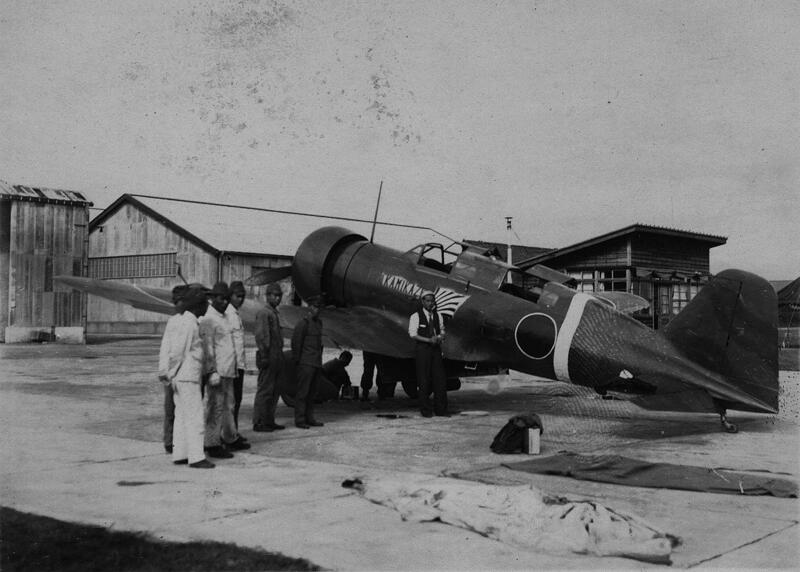 Monochrome photographs of "Kamikaze" are ambiguous, showing both "light" and "dark" shades for the blue. Thanks for posting the link from correspondent José to TJs Hangar blog site. A very good on-line resource that was new to me. Wonderful stuff, Nick. And thank you, Jose! AZ Models, we who are about to be poor salute you...and will pay you anyway - if you will just release the *#$&% kit!! As to the blue, Koike's stirring image of this one indicates a vivid blue also, and he seems as much a stickler for good detail and color research as he is for art. Or maybe I just want it to be that color! 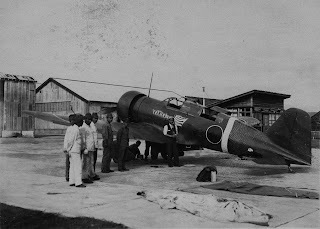 Photos of Kamikaze's sister ship Asakaze (J-BAAL) have always seemed (disclaimer: to me) to show a darker blue as compared to Kamikaze J-BAAI. 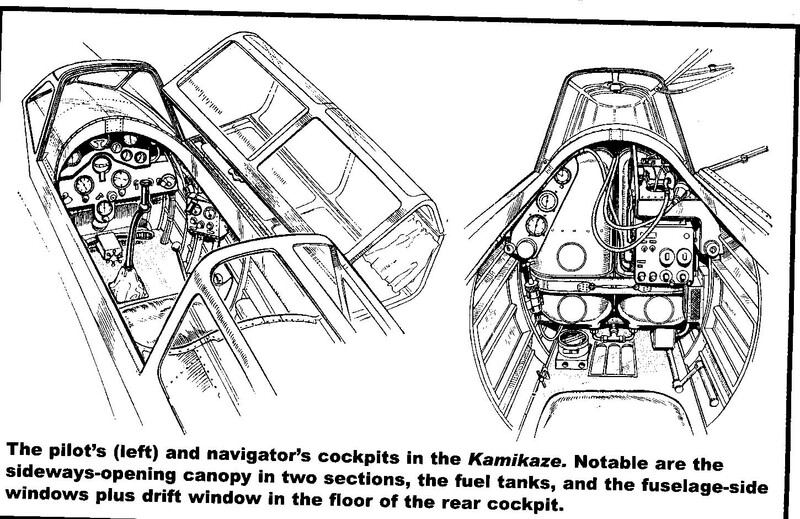 Thanks again for one more addition to the Ki-15 file. I like to pass on my thanks to José for this fine picture & builds! 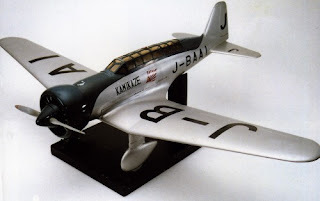 Last month I was so lucky to find a Hasegawa Ki 51-1 kit, a hard- to -get one over here.